Whether for cuddling, comforting or simply presenting: the cute plush teddy with embroidered sweater and woven label is cuddly soft and makes children's hearts beat faster! These socks are guaranteed to help infants to get ahead! At the birth, for a child's birthday or simply without any reason: the cute first socks in a striped design and with Opel lightning bolt non-slip applications enable you to give others pleasure, and not only at special occasions. The soft children's hooded towel made of 100 % cotton provides a cosy warmth after the bath and invites the child to snuggle up. It is edged with a yellow band, a woven label is attached at the side and it has grey Opel Adams printed on the hood in a repeated pattern. Washable at 40° C and suitable for tumble drying, the cute towel is the perfect companion for your everyday life. The NUK dummy with cute Adam motif and orthodontic silicone teat provides calm and comfort. This is not only a treat for the day time, it also helps with sleep thanks to its feel-good factor. The dummy is declared as a medical item and fulfils the legal requirements and approvals for Germany and Austria. We assume no liability for product labelling if the dummies are not delivered to the countries mentioned, since the national provisions on labelling requirements for medical products may be different. 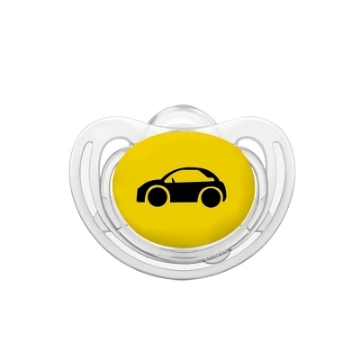 The NUK dummy with cute "I love Opel" motif and orthodontic silicone teat provides calm and comfort. This is not only a treat for the day time, it also helps with sleep thanks to its feel-good factor. Happy Families Game with OPEL models from over 100 years of company history. Consisting of 32 motif cards and cover card.